Not many game programmers had the chance to work on both the Genesis and the Sega CD, due to the add-on’s limited support and short life span. A select few, however, were able to spend time on projects for the two systems. The utter frustration most encountered trying to make the CD add-on jump through the required hoops is legendary, and this is most likely the reason why its most important features were so underused. Chris Shrigley had the chance to work with both systems. 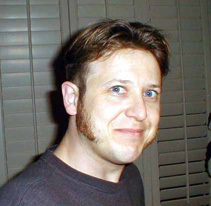 With over thirty titles to his credit and over twenty years’ experience as a programmer, he has had a hand in such Genesis games as Gargoyles, Spider-Man, and NHL ’98; as well some great Sega CD titles like Batman Returns. Mr. Shrigley was kind enough to spend some time reminiscing about his 16-bit days. Sega-16: How did you get into programming? Chris Shrigley: I got into programming accidentally, after discovering my school had a computer lab full of Commodore PETs. I was 12 years old and I had to choose some subjects to take, and computers seemed like a good skive. I got hooked very quickly though, and started programming in BASIC and Comal. It really clicked with me. Within a couple of months, I started messing around with the PETs built in machine code monitor, writing tiny programs in hex, to fill the screen with characters. Sega-16: When did you first come to work with the Sega Genesis? Chris Shrigley: I was working in England at Eurocom, on NES games, when I got head hunted by an American company run by a fella called Bob Jacob. He handed me a photocopied Genesis manual at my interview and told me to read it and learn the system. It wasn’t until about 3 months later, when I finally got to America, that I actually sat down with the hardware. That was in 1991, and was a “baptism by fire,” having to learn the hardware as I programmed my first game on the system. Sega-16: Are you a gamer? Chris Shrigley: I am, but getting less so. I don’t seem to have as much time as I did, but I still get to play some games on an irregular basis. I currently have a small stack of older PS2 games I’m working through, including Katamari Damacy, REZ, Ico, Kingdom Hearts, and Gran Turismo 4. I also play World of Warcraft when I have a few hours to spare. Sega-16: You’ve worked on quite a few Genesis games. Which was your favorite and why? Chris Shrigley: I really enjoyed writing Gargoyles, as it was one of my last games on the system, and I felt extremely comfortable with the Genesis by then. I also really liked the physical environment I was working in, and the people I was working with. Disney was a great place to work back then. Conversely, I also enjoyed my first game, Ex-Mutants, because it was so challenging, getting to grips with a new system. Nice bookends really. 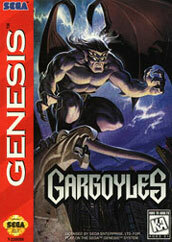 Sega-16: Gargoyles was hailed for its brooding atmosphere and fluid animation. What was it like to work with such a popular license? Chris Shrigley: Gargoyles was a bit of a departure for Disney Software at the time, and they didn’t really have any place to put the game, label-wise. They created the Buena Vista Software label specifically for the game, because it had a slightly harder edge than their other games, released under the Disney Software label. The thing I most liked about the project, was having complete access to all the Gargoyles resources that Disney had, including the “Creatives” on the TV show, style and animation guides and even voice talent. Getting to work with some brilliant artists and competent designers, was really nice too. Sega-16: Which did you prefer working with, the Genesis or Sega CD? Chris Shrigley: I preferred the Genesis, because the Sega CD always felt like a bit of a bodge-job really. It was nice having the scaling hardware and extra RAM, but the effort needed to work with it, wasn’t really worth the extra you got out of it. There were some horrible problems with the reliability and usability of the CDROM sub-system too, if I recall. Sega-16: Did you ever have plans to work with the 32X? Sega-16: Many developers have complained about the difficulties they experienced while working with the Sega CD. Did you ever have any problems? Chris Shrigley: Yes, but the passage of time and too much alcohol has dulled the pain and blocked out any specific memories. I do remember it taking ages to get the scaled sprites working how we wanted them. You forget the problems quite quickly though, once you’ve figured stuff out. 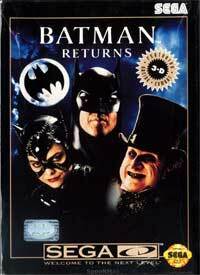 Sega-16: It’s been said that the driving sequences in Batman Returns are among the best use of scaling on the Sega CD. Were there any other effects you wanted to include but couldn’t? Chris Shrigley: Well, nice to hear that. I think we pushed the system pretty hard on the driving sections…Did we have hills? I can’t remember now…if not, hills would have been nice. Sega-16: Were there any games you worked on that never got released? Chris Shrigley: I did some work on a Malibu Comics Super Hero themed fighting game. It never got beyond the prototype stage though. Sega-16: Do you think programmers tapped the full potential of the Genesis by the time it was discontinued? With all the software effects that were being accomplished in such games as Gunstar Heroes and Contra: Hard Corps, was there anything that hadn’t been done? Chris Shrigley: I doubt it really. There’s always some bright spark that will come along and push a system just that little bit more! The Genesis was a lovely machine to work on, with a very friendly architecture. I was very, very comfortable with it by the time I did my last game, but I think the system still had lots of potential. I think the Genesis was probably the last platform I worked on, where I felt I came anywhere near it’s full potential, before focus shifted to the next generation of hardware. Our thanks to Mr. Shrigley for taking some time to chat with us.